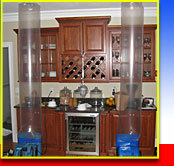 Wet ceilings can be difficult to dry out. 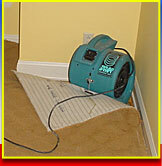 If they are not dried quickly, mold can develop and then that can lead to an expensive mold removal project. Most companies either ignore the wet ceiling, or they hack a hole in the ceiling. Both these options are not the right repair. 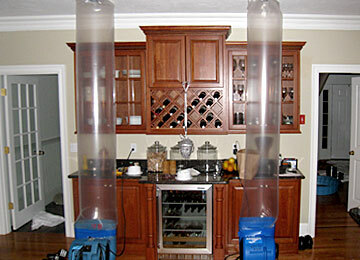 By knowing how to use advanced methods of drying, AAA Flood Drying can save most wet ceilings, without putting holes in them. Some of the systems employed, Focused Heat Drying, Infrared Heat Drying, Directed Air Movement, Injectidry Systems, Containment, Desiccant Dehumidifiers, LGR Dehumidifiers, E-TES Directed Heat Drying and ELE 6400 Heat Drying Systems. 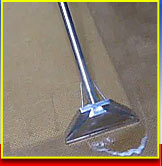 We were never happy with the way “other companies” dried ceilings. We knew there had to be a better way. With over 20 years of experience developing new methods, we have been able to save most ceilings from a water damage repair. 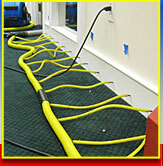 If there is no staining then there may literally be no other fix up and repair costs. 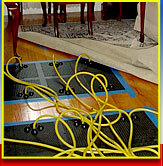 We are however realistic and sometimes the best method is quick removal and fast drying. 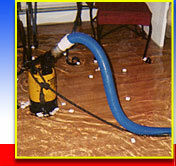 We will advise you on the best way to complete the remediation to avoid a mold problem.